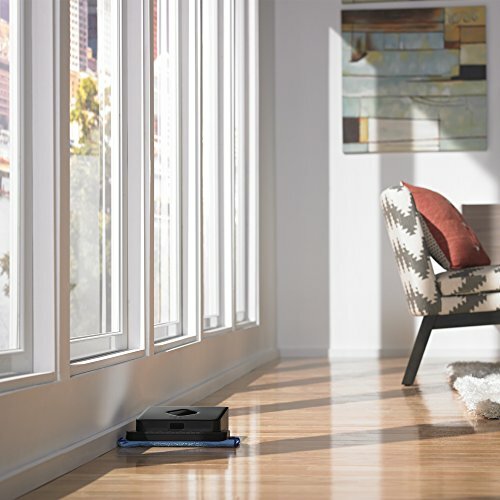 iRobot Braava Jet 240 has proven itself to be a lifesaver. The work rate and efficiency of this device in performing its function are highly commendable – therefore it is almost shocking it is sold at such a cheap price and is certainly a good investment! 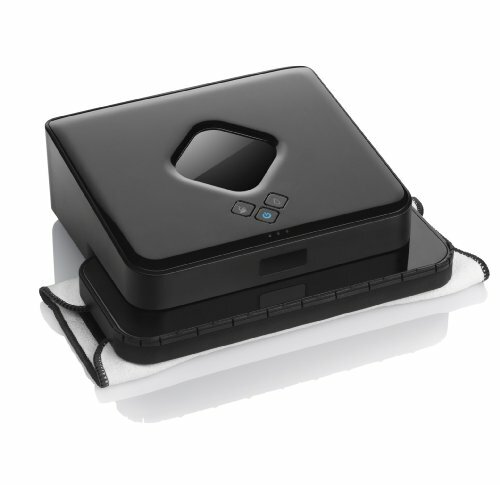 This device critically cleans surfaces using three mechanisms. Furthermore, it is programmed to perform at three different degrees to ensure maximum cleaning potential. The three different degrees it could work at are dry sweeping, damp sweeping and wet mopping. •Dry Sweeping: The device is sensitive enough to know which degree to activate to depending on the circumstance; in this case, it is activated when the dry sweeping pad is attached. For this degree, the robot performs its function without any spray of water. The dry pad will wipe off dirt, dust on hard floor surfaces. •Damp sweeping: The sweeping and mopping mechanism works almost the same as it does at dry sweeping mode, only this time water is required to activate the cleaning agent. 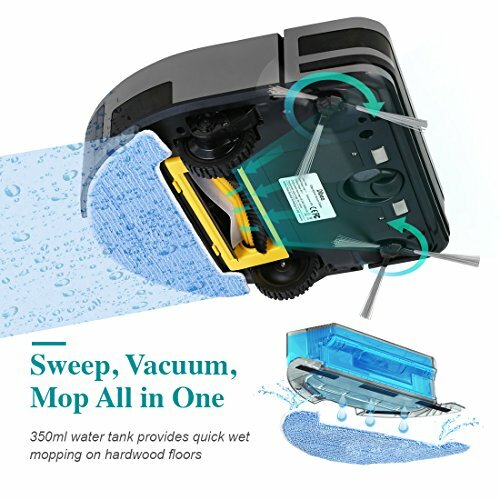 •Wet mopping: The wet mopping mode gets activated when the blue mop is attached to the device. This cleaning degree is the most vigorous; which makes it the most preferred degree when cleaning hard and stubborn stains off hard surfaces. 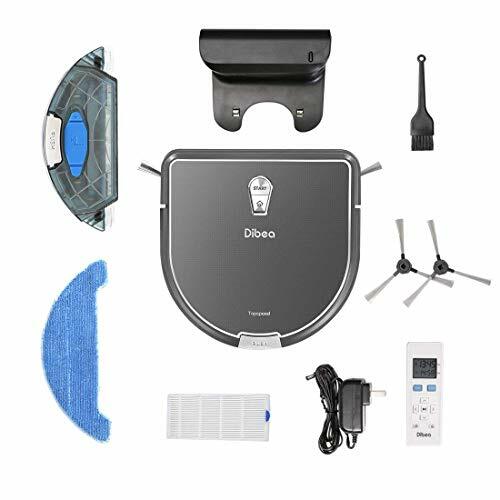 The box which is like the total package contains: Braava jet Robot Mop, Lithium Ion Battery, Battery Charger, 2 Wet Mopping Pads, 2 Damp Sweeping Pads, 2 Dry Sweeping Pads, Manufacturer’s Warranty and Owner’s Guide and Documentation Package. 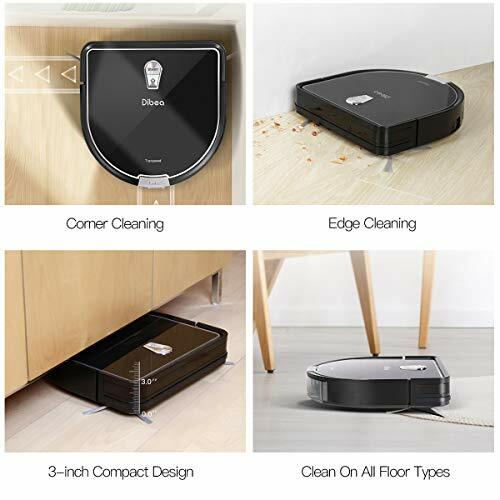 •The portability and design structure of the robot enables the device to get to the nook and crannies of the space to appropriately clean the space without leaving any place untouched. 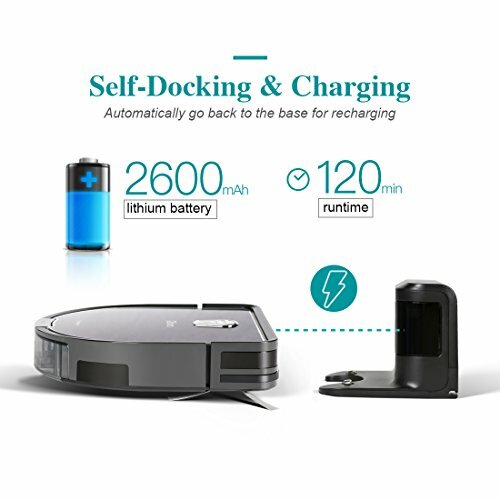 •It uses iAdapt 2.0 navigation that facilitates its surfing around the space as it cleans. 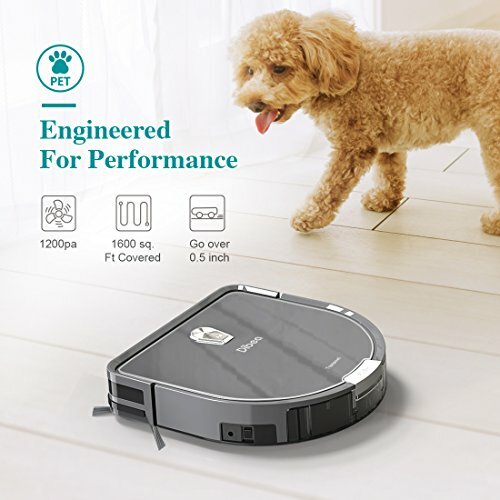 •It is designed to perform both mopping and sweeping. 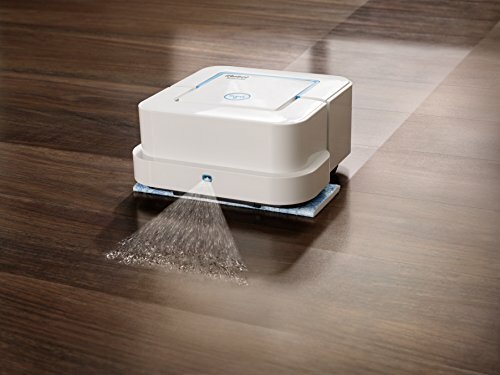 This ability makes it useful for cleaning different surfaces: hardwood, tiles, stone flooring etc. •It is equipped enough to work at a precision that enables it to clean hard and stubborn stains – that could have proven difficult if done manually. 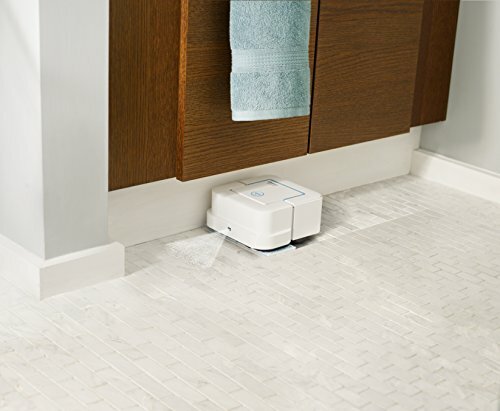 •The robot is sensitive enough to automatically activate different modes depending on the mop pad that is attached to it. •There is one year warranty attached to the package. If the robot develops a fault within the 1-year deadline, it could be returned to the manufacturers for proper repair or a change. Maintaining the device involves dedicated cleaning of parts of the robot to take out the prospect of damaging. •Always clean the sensors located at the bottom of the robot with a damp cloth. A pile of debris on the wheels could restrict movement and also damage the wheels in the long run. •Use a damp cloth to wipe off dirt on the body or bumper of the machine. •Always make sure the nozzle of the precision jet spray is clean, if it isn’t, wipe with a damp cloth. This is necessary because that is the outlet that let out water used for cleaning; if the water is not clean as a result of the dirty jet spray, invariably, the whole cleaning job would be flawed. •In cases where there is an odor in the tank; fill the tank with hot water and cleaning agent, shake vigorously, rinse and dry. Open the tank after and allow it to dry. •Always ensure the cleaning pads are clean. The good thing about this is that the cleaning pads can be rewashed for up to 50 times before the pad begins to wear out completely. The Design Of iRobot Braava Jet 240. 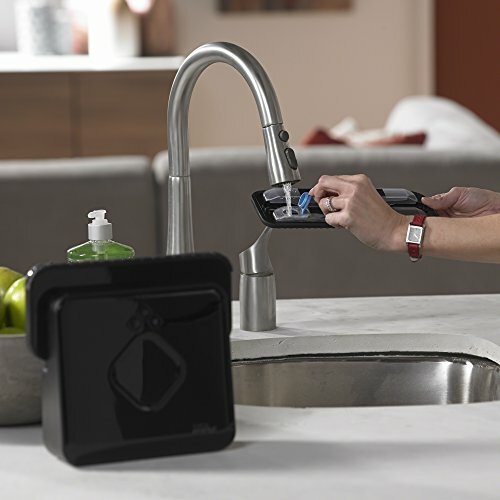 The device is designed in such a way that makes it easily controllable. •Firstly, ensure the battery is charged to its fullest before plugging in – the battery normally charges to its maximum at 2hours. 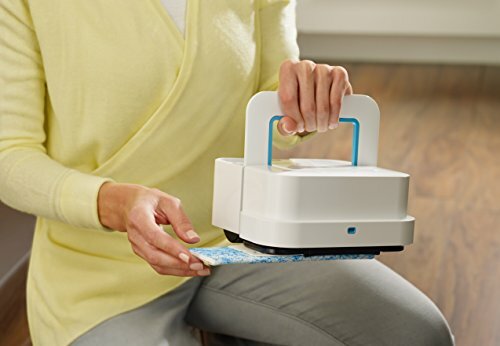 •Select a cleaning pad and attach it to the robot. 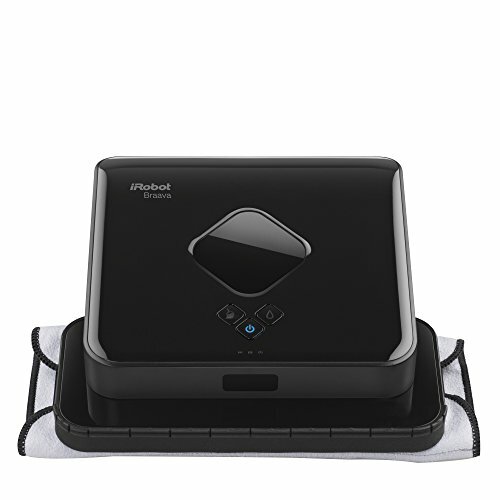 The robot automatically identifies the type of cleaning pad and activates to the appropriate cleaning mode – so, if a damp mopping pad is attached, the robot will clean at a damp mopping mode. 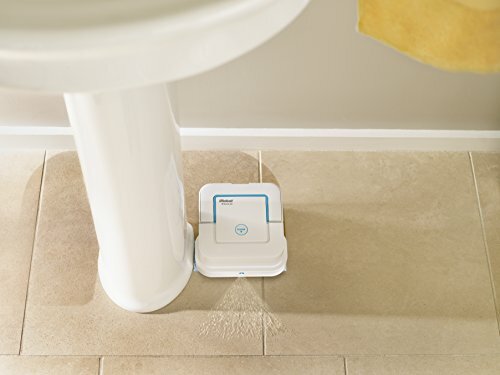 •In cases where you are cleaning at wet mop and damp mop mode, fill the robot with water. 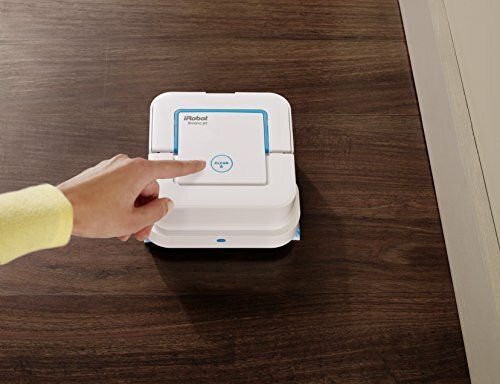 •Place the robot some distance away and press CLEAN to kick-start the robot; then, press CLEAN again to restart the cleaning cycle. •After cleaning, eject the battery and cleaning pad. 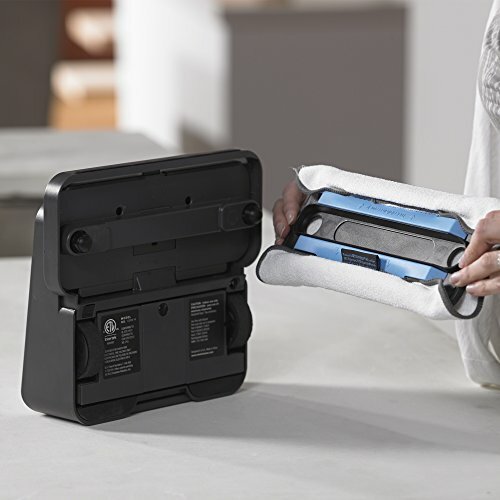 Ensure the battery goes back to charge and cleaning pad is washed and changed for the next cleaning operation. You will probably agree with me that this product is the total package. Besides that, it is not every time we get a device that provides such functions and still gets sold at such an affordable rate. Likewise, the customer reviews gotten from top-ranking shopping websites proves to show that the product is truly exceptional. 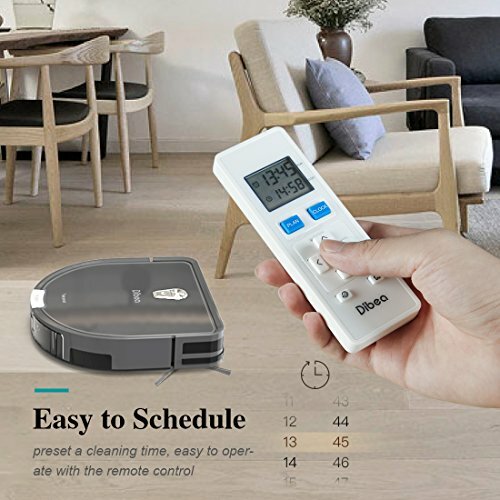 Save yourself the stress and time of cleaning your home today and get yourself this intelligent robot. 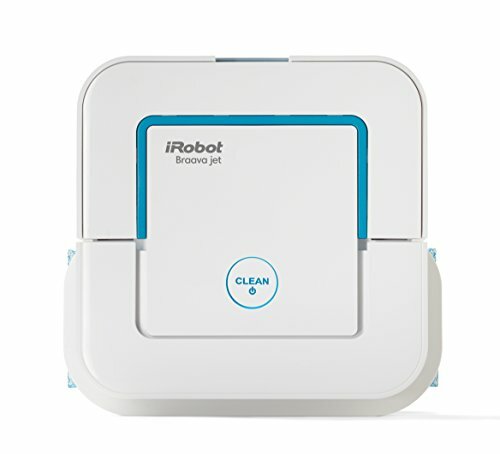 Where to buy the iRobot Braava Jet 240? I hope you enjoyed iRobot Braava Jet 240 review. 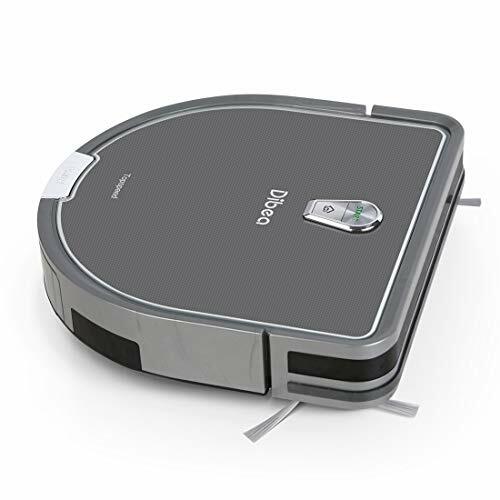 If you want to buy it just click the button below and buy the iRobot Braava Jet 240 at an affordable price! Its cleaning mechanism is very efficient. It is relatively cheap and affordable. 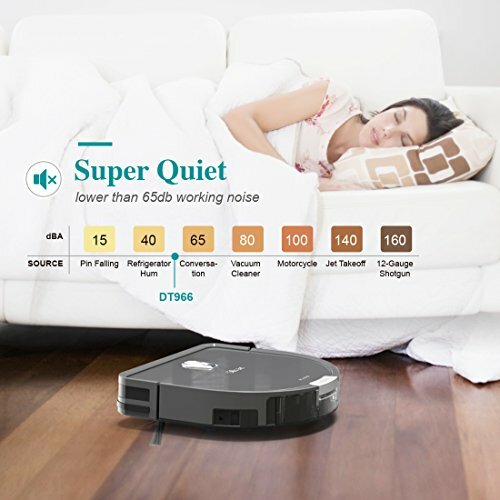 Compared to the other iRobot cleaners available, it is the most affordable. It is smart enough to activate the right quantity of cleaning solution as the jet sprays water.